Balancing work and home responsibilities isn't easy, but locating the right work-at-home position is a step in the right direction. 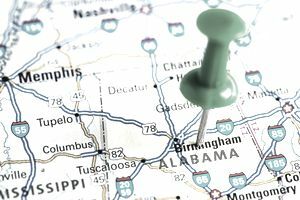 If you have customer service experience and can supply a quiet working environment, check out these virtual call center companies that hire work-at-home call center agents in Alabama. Accolade Support uses independent contractor agents for customer service, sales, and tech phone support outsourcing jobs. Payment is on a per-minute basis and it is determined by the type of experience required to serve its customers. The company requires a silent background as you work, but you set your own hours, so you can work around your family's schedule. Alorica at Home employs thousands of remote customer service agents who are compensated on a per-minute or per-call basis. Because they are employees, not independent contractors, they are guaranteed Alabama's minimum wage, even when the call volume is low. Training is paid. American Express hires experienced customer service, sales, and human resources agents to work from home. Bilingual agents have an advantage. Apple hires remote At Home Advisors from students at a select group of universities, among them the University of Alabama at Tuscaloosa and Auburn University. The remote call center program employs agents to work from home in its tech support and customer service division on a mostly seasonal basis. Apple provides a computer and training for these employees. At Home Advisors—even part-time workers—receive a benefits package from Apple that includes product discounts and time off. Voice, broadband, and video services provider CenturyLink employ home-based call center agents in Alabama. Call center agents to perform technical customer service or are part of a virtual sales team. CenturyLink provides a base pay with sales incentives available. Home-based call center agents for Convergys provide customer service, sales or technical support service to customers who call in. Part-time employees work 25-30 hours per week; full-time workers work 40 hours per week. All employees receive paid training and benefits. This outsourcing company hires experienced independent contractors as virtual call center agents for customer service tasks, insurance sales, insurance claims, healthcare roadside service, and inbound sales. Depending on the type of call, agents are paid based on minutes of talk time or on minutes plus commission. Some work solely on commission. Agents must go through unpaid certification to work for individual clients, and they must pay for their own background check. Support.com provides remote tech support and client services using work-from-home chat and phone agents. Qualifications vary depending on the position, but most require technical experience. The company provides an hourly wage plus benefits. At global company Sykes, remote employees take inbound calls, which are both customer service and sales calls. They are paid for training, but applicants who are offered a position must pay for a background check. The hiring process for these call center jobs is online and by phone. Bilingual skill is a plus; languages include French, Spanish, Mandarin, and Cantonese. This outsourcing call center hires work-at-home employees to serve as customer service representatives and to assist with internet services, desktop support, and security issues. The company hires in only selected states, which include Alabama. Full-time workers sign on for 30 to 40 hours a week, but part-time positions are available. Both classifications receive company benefits. TeleTech@Home is a global business process outsourcing company that hires work-from-home associates in the U.S. and U.K. to serve as call agents. Bilingual call center agents are needed. Benefits include paid training and a 401(k) for these part-time positions, which require 20 to 30 hours weekly. Agents in these part-time and seasonal work-at-home call center jobs provide customer service, make reservations and provide roadside assistance. They are employment positions, not independent contractor positions. Work-at-home independent contractor agents for Ver-A-Fast use a predictive dialer system to make verification calls, set appointments and offer customer service. Most clients are in the newspaper industry. The home-based agents at the Windy City Call Center handle inbound and outbound calls for clients. The agents are employees, not independent contractors. Benefits include healthcare and 401K. Agents must commit to at least 20 hours per week. A list of home call center companies may include others that hire from Alabama. Plus, these worldwide work-at-home jobs, though not necessarily call center jobs, hire just about everywhere.